If, to attract your attention, I need to plant some grammatical errors in this piece, then so be it, but alas, I'm not sure how many of you would appreciate such a subtle and fanciful exercise. So I have instead taken the route of addressing you directly in the hope that I could indeed reach people who belong to an imagined community of “grammar Nazis” - whether you identify yourselves as such, or are in denial. Let me preface my remarks by congratulating you for your work in recent years. You have spared no one, not even Vilma Santos, from your surveillance, and the poor actress had to humbly (and rather gracefully) explain herself for offending your sensibilities, after a grammatically-incorrect but well-intentioned Instagram post. More unfortunate is the case of Janina San Miguel, a teenager whose incorrect grammar and pronunciation during a Binibining Pilipinas Q&A went viral to your glee. But you must ask yourself what else you have accomplished, aside from the humiliation of others - and the banishment of non-words like “irregardless” from the lexicon. In what follows, I will offer my assessment. First, you have intimidated people from even trying to speak English. I have met college students who can speak English, but are too shy to do so, lest they get corrected or humiliated. They won’t even practice - which is sad because you won’t master a language unless you practice it. Such an unhealthy spirit, I argue, is because of people like you who focus on errors. Second, you have exacerbated divisions within social media and society at large. The years-long bashing of the “jeje” (which has incidentally made jejemons out of the entire Spanish-speaking world) was the opening volley in a protracted civil war you have instigated between the “educated” and those whose knowledge of English is not as deep as yours. Like the divide between Spanish and Tagalog speakers in colonial times, or English and Taglish in more recent years, this language-based discrimination along lines of class is not contributory to national unity. Third, you have opened yourself to judgement in your own terms. I am sure many of you will claim to be of a better mold, but some among you have made fun of yourselves by correcting something that is not really wrong - and in the process betray their own ignorance. Their greatest downfall are instances when there is more than one correct spelling - or more than one correct rule - such as advice vs. advise, or in the two ways to pronounce “route”. Correcting others, only to be corrected: that is most embarrassing. 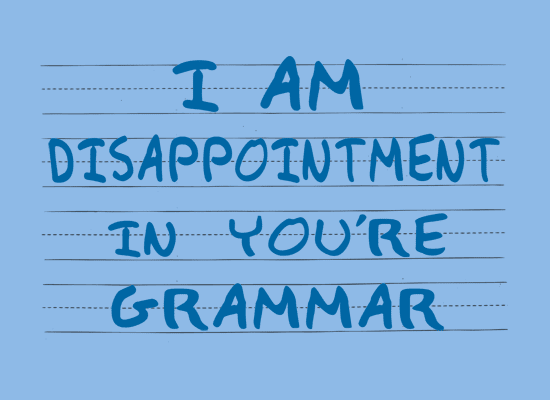 It is tempting, in this age of automatic spelling-and-grammar checks performed by Microsoft Word and even Gmail - together with posts like “11 Common Grammatical Mistakes and How to Avoid Them” - to prognosticate your decline and extinction. But I do not see this happening at all in the recent future. You have a role in policing your own ranks and those who are in the business of writing (i.e. journalists, novelists). Certainly, this piece is within your jurisdiction - and if you find something wrong, I am guilty as charged. But please spare the rest of the people from your gaze. Do not alienate those who are trying to practice their English, and those who do not even care about languages, but are simply communicating something to their friends. Let languages unite, not divide us. With all our diversity, and the already-lamentable educational and economic disparities between the rich and the poor, the last thing we need is an elitism based on the ability to speak a certain language in a certain way. Moreover, do not take our “poor mastery of English” against our nation: Many Americans - and English - don’t know how to speak English “properly”. Instead of looking at individuals’ errors in grammar, spelling, and pronunciations, you should be channeling your criticism to the educational system. Surely, even a college graduate can be excused from not knowing the plural of hypothesis - or seraph. But subject-verb agreement is elementary, and the fact that many have not learned it should point to gaps in the way English is taught among our children, particularly in the public schools. If you are truly experts in English, we need your pens to articulate the case for improving language literary in our country. Make an article, submit it to a newspaper or a website! If it goes viral, well and good for the rest of us. Finally, you should be mindful that it is the languages that are open to accept new words, and break its own rules, that have survived. There is a “playfulness” in the Filipino languages that have allowed us to “colonize” words and make them part of our own lexicon, such as “Mag-on” and “Mag-oonline”. There lies our strength - and the same can be said of English, which has borrowed heavily from French, Latin, Greek - even Tagalog (i.e. boondocks). If your rules were strictly followed, how can we have the unforgettable lines of Master Yoda? “Seenzoned” may yet become part of Merriam-Webster someday - just as the word “OK” - which started as a joke in Boston newspapers in the 1830s - is now part of our everyday speech. Thus, my appeal to you is to become relevant by looking more broadly than the placement of apostrophes and hyphens in people’s posts on Facebook and Instagram. Because right now, you are holding back the growth of the very language you have sworn your allegiance to. What are the synonyms of impediment?